Everyone would love to be able to look back at a time in their life and say, “Here’s where it all started coming together.” To land an assignment for Southern Living is pretty incredible. I think someday I will look back on this project as a turning point. Not to say that I haven’t done significant things. 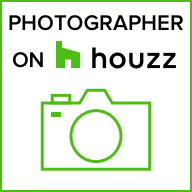 I photograph architecture and interiors for a living. To me that’s an achievement in and of itself. But if it wasn’t for my wife’s intuition (and her subscription to Southern Living Magazine) my photography would never have made it to the magazine. She was browsing through her latest Edition and came across a local builder who was participating with the Southern Living building program. They placed a nice ad. But my wife was sure that I could create and produce better photography. So she brought it to my attention. One of the things that we like to do as a business is to get in contact with architects, builders, and designers whose work we would like to photograph. Creative’s like me don’t do well with rejection. But my old job in the car business gave me a little bit of a thick skin to overcome seemingly insurmountable obstacles. So if I believe I can help someone by providing better photography, I will talk to them. The ones that need photography eventually say yes. Honestly though, I still get anxious when prospecting. A couple of images from the photo shoot. These weren’t in the article, but still give insight to the overall feel of the design. Guy’s don’t ever put off the insight your spouse can provide. Wives know their husbands better than anyone. It’s a team. Anyway, like I usually do, I sent an email with web links and some images of past work and made a call. I left a brief message and that was that. For a week or two I thought nothing of it. Then out of the blue I get a call from Mary Hatcliff co-owner of Hatcliff Construction. Now in the back of my mind I’m thinking this is the usual situation, that they like my work and are interested in getting some new photography for some of their models. But then she began describing how they have been chosen to be the featured in the upcoming February issue of Southern Living Magazine and needed really good photography. My heart started beating a bit faster. Within the month I was out at the property doing some scouting shots and then later doing the main photography. Of course she stated very clearly that there were no guarantees that Southern living with use the photography. So I tried not get too excited. The house was beautiful – a photographers dream. The walls were white which meant that any accessory with color would pop. Not only were there great architectural lines with lots of designer eye candy, but the whole house had new and innovative elements. We spent four days capturing photography and then another few days processing. Still there were no guarantees that it would appear in Southern Living’s February issue, Or any issue for that matter. I’ll be honest. I checked three or four times a day for the last two weeks. As I was on the phone with another client I was browsing through the digital subscriptions and there it was! Garnering an assignment for Southern Living has given me a marker in time. So have I gotten the call from Architectural Digest yet? Not yet. But things are looking up!